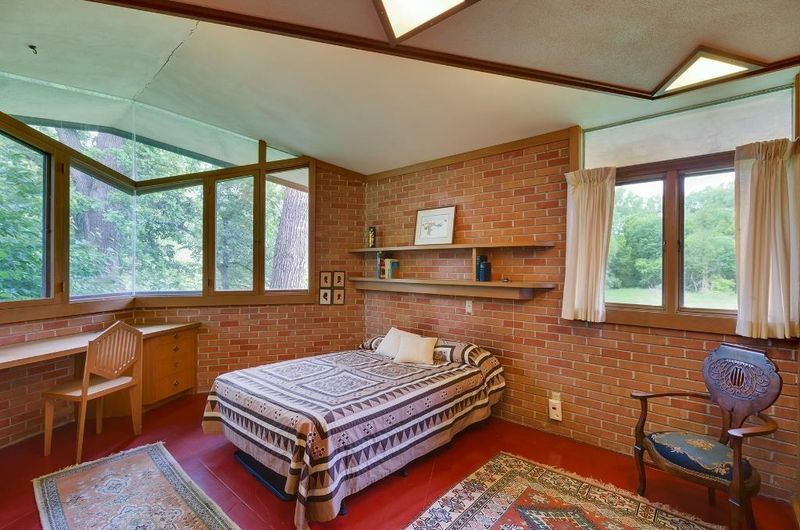 If you’re a regular Space Optimized reader, you know we have a soft spot for Usonian homes. Usonian homes provided low-cost housing to middle-income families during the Great Depression. These tiny homes were designed by legendary architect Frank Lloyd Wright. 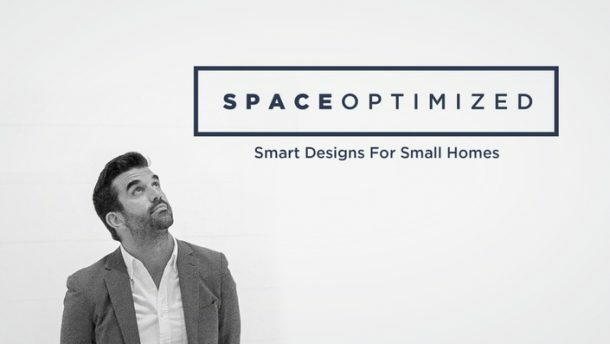 Here’s Your Chance to Score a Space Optimized-approved Dwelling! 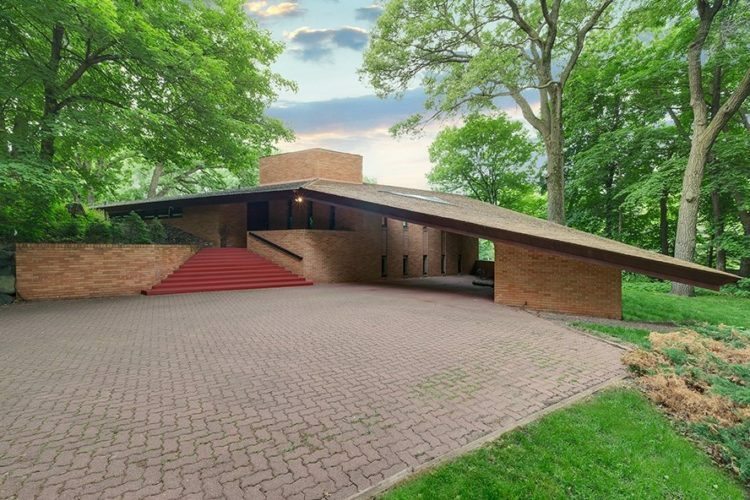 Just in time for Frank Lloyd Wright’s 149th birthday, Paul and Helen Olfelt’s suburban crib can be yours for a cool 1.395 million. Yes, it’s expensive for a modest home but this is no ordinary property. 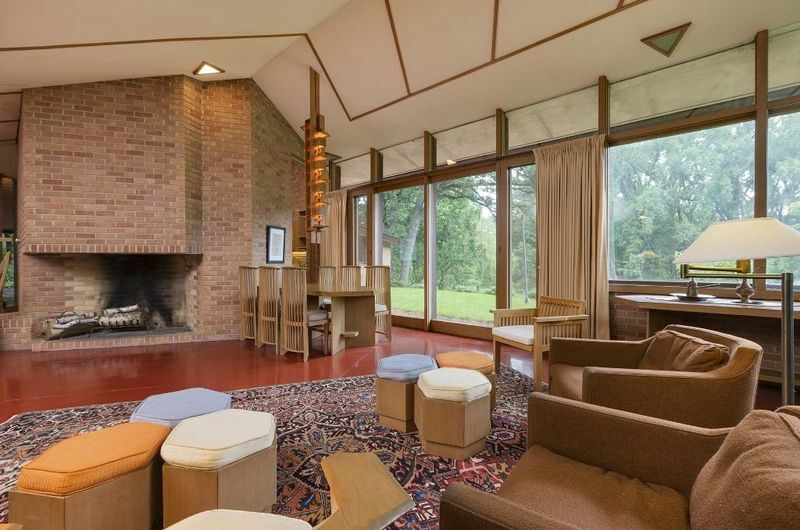 The Olfelt family house was designed by Frank Lloyd Wright himself. We’re talking top to bottom customization by the master himself. 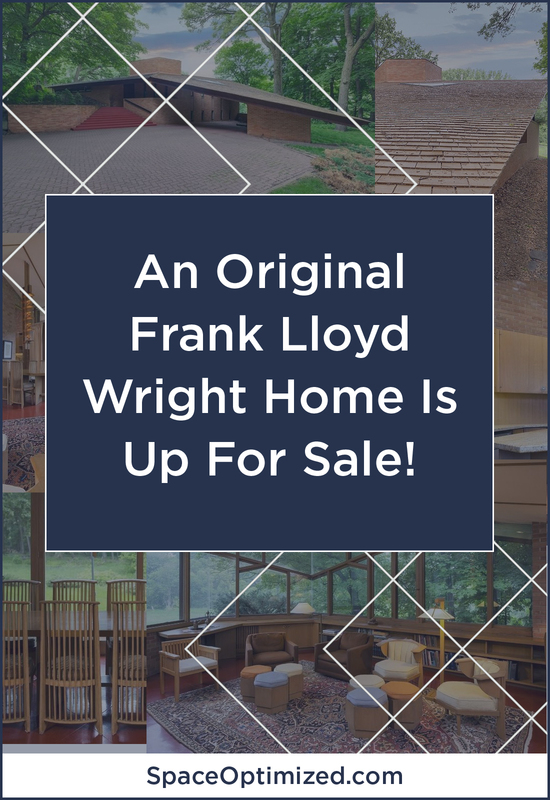 An original Frank Lloyd Wright home seldom ever goes on sale. 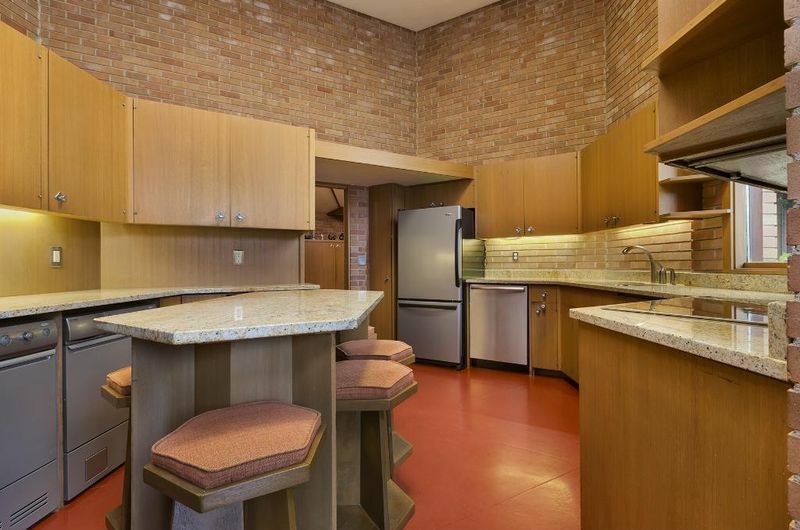 This is a rare opportunity to own a Usonian home designed by the iconic architect who transformed the US landscapes with his enduring designs. 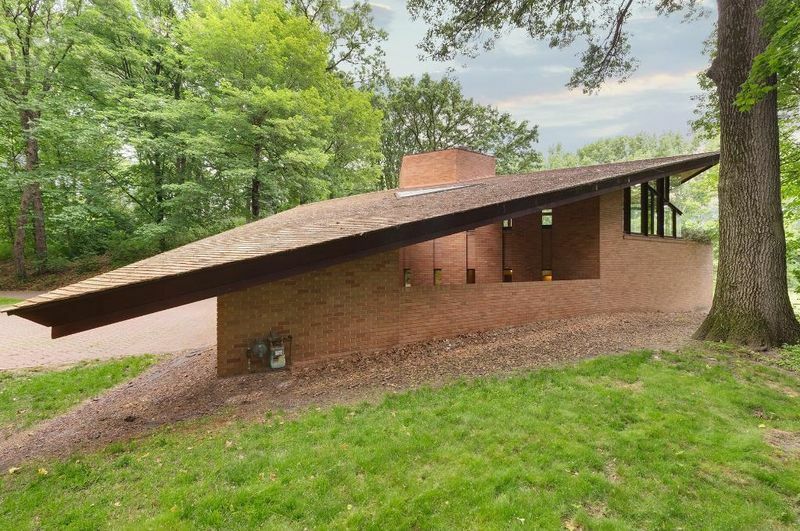 The Olfelts hired Wright in the late 50s to design the three-bedroom dwelling. It’s a tiny home but it sits on an “extremely private acres at the end of a quiet cul de sac” in St. Louis Park. How’s that for exclusivity? 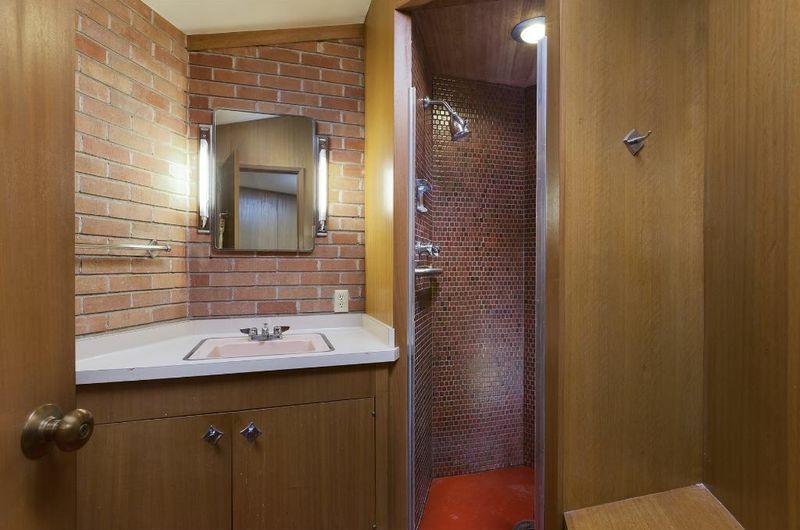 The residence features all the classic design elements unique to Usonian homes. 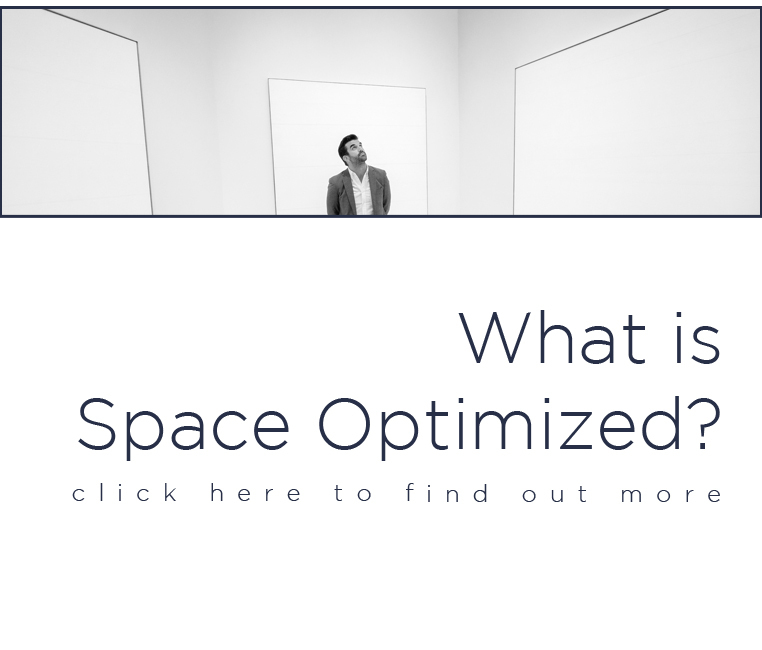 It’s Space Optimized-approved! The modest dwelling comes with a sloping roof, built-in seating and bespoke cabinetry. The space is never lacking in the drama department. 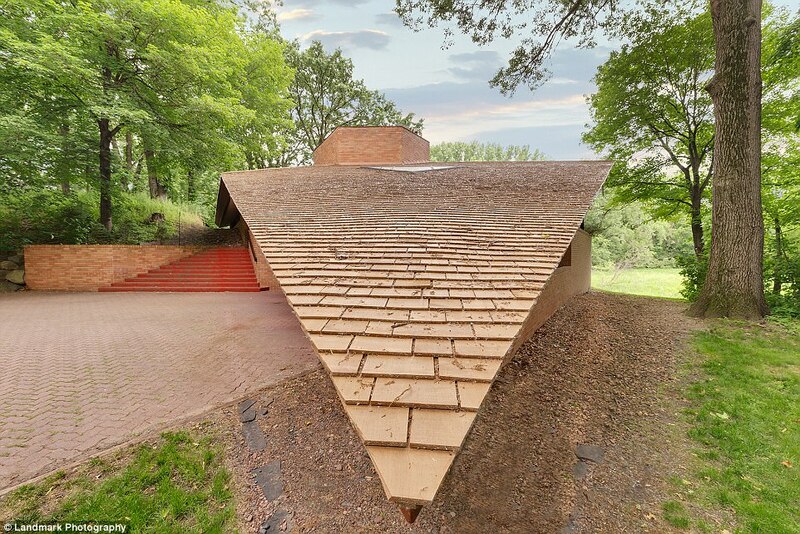 The triangular roof slides all the way to the ground. This unique design element helps the structure blend effortlessly with the surrounding nature. The owners did a great job of preserving the hillside residence, it is literally frozen in time! 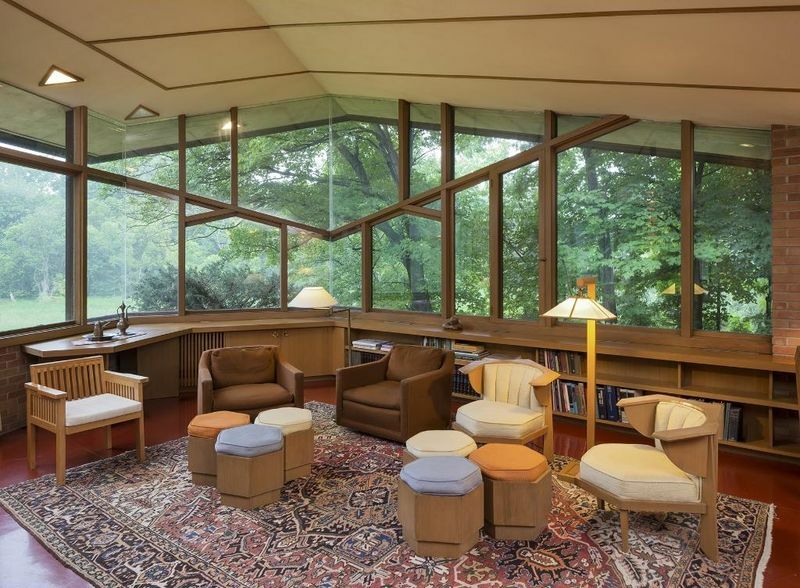 Everything about the home was designed by Wright himself. That includes the Hexagon-shaped chairs and kitchen bar! From the main room to the kitchen, the home features long, narrow hallways and custom cabinetry for more storage space. Thanks to the soaring windows and open floor plan, the space looks infinitely larger. Another feature worth noting is the floor, done in Wright’s signature Cherokee Red. 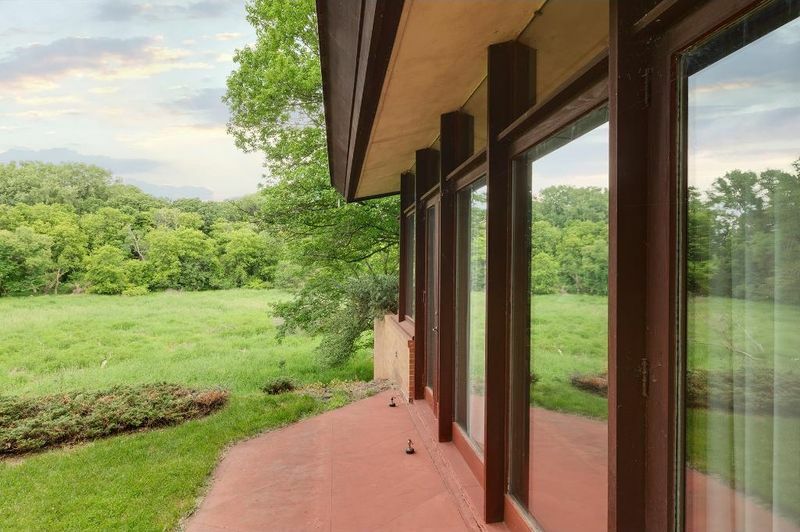 The all-glass windows give a sweeping view of the lush meadow beyond! The brick walls remain exposed, adding character and texture to the space. The bedroom comes with hand-crafted furniture and built-in storage spaces. The bathroom is tiny but we live for that classic tile design. 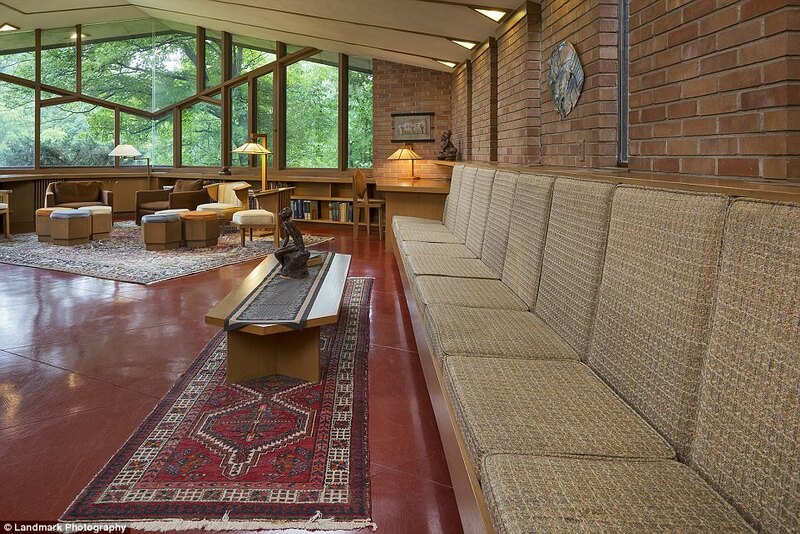 As with most Usonian homes, the focal point of the space is the living area. The vaulted great room is embellished with built-in sofa and a brick fireplace. Every inch of space is optimized for maximum storage. As you can see, the straight-backed sofa travels the full length of the living area. Above it is a Solar Tube with lights. The family home changed very little throughout the years. The Osfelts did only a couple of modifications, including adding free-standing shades to shield guests from the sun. The Olfelts’ family home was one of the few projects Wright was working on before his death. So in many ways, this is a historic property that’s worth the investment. 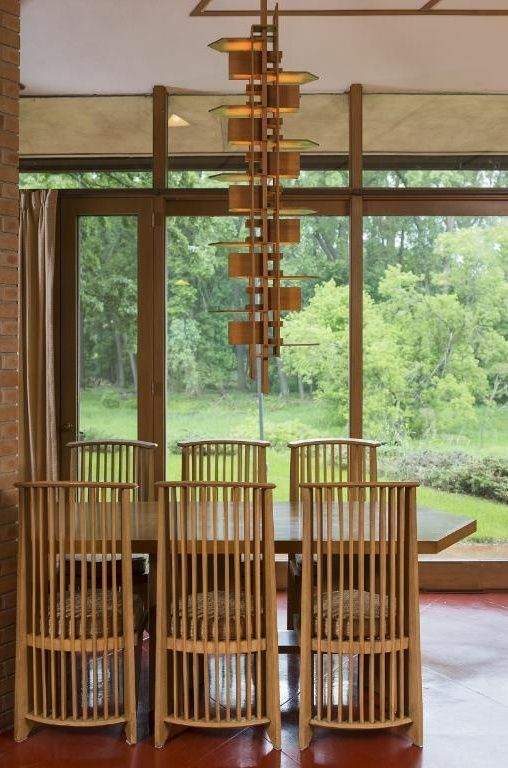 Wright was not able to see the completion of his masterpiece but the home certainly fulfilled his Usonian philosophy. For interested parties, the property is currently listed with Coldwell Banker. If you’d like to see the brick-and-stone house in living colors, go here for a virtual tour.